Here is another photograph I took on my recent visit to the British Museum. 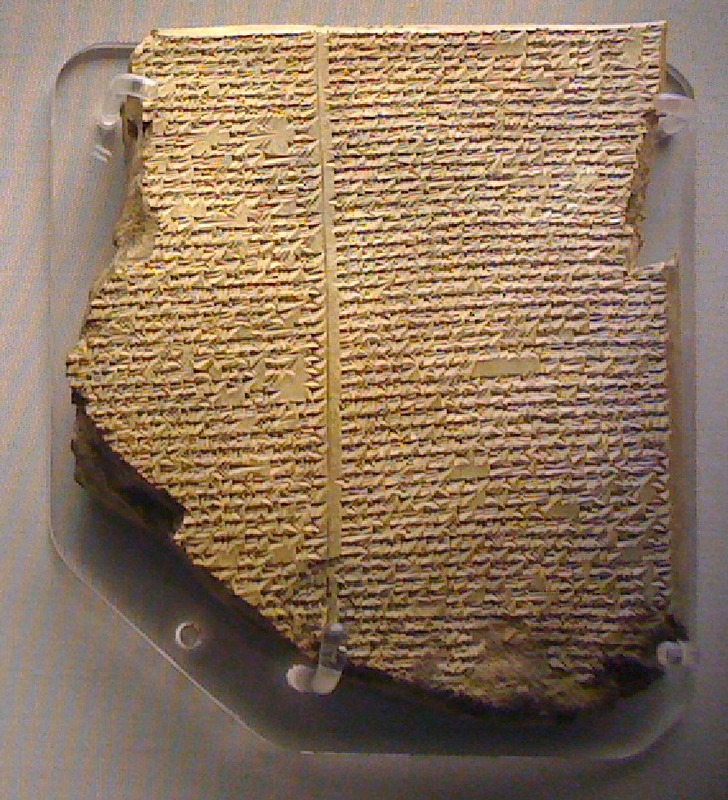 It’s one of the most famous items in the Museum -- the 11th tablet of the Gilgamesh epic. It recounts an ancient, and supposedly fictional, story that was popular in ancient Babylon and Assyria (this particular example comes from Nineveh in Assyria, and dates from the 7th century BC). 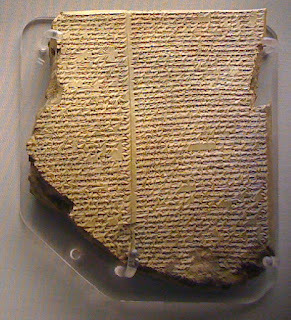 The 11th tablet has become famous, or notorious, for its description of a great flood sent by the gods to destroy the world. A character named Utnapishtim is forewarned of the event, and he constructs a large boat in order to save as many living things as possible. Undoubtedly the Hebrew scribes who were exiled in Babylon a hundred years later would have encountered writings such as this... and that, of course, brings us on to the thorny subject of Biblical Literalism. It dawned on me a few weeks ago that the notion that Christianity begins and ends with the Bible is a relatively recent invention. Christianity is 2000 years old, but Biblical Literalism (as a widespread concept) can be no more than 500 years old. Printing, in the context of European culture, was only invented in the 15th century, before which Bibles were rare and expensive hand-written manuscripts. They were written in Latin, too, so most people wouldn’t have been able to read them even if they’d got their hands on a copy. In its early days, Christianity was typical of the religions of its time. Religions in those days were centred, not on writings, but on symbolism and ritual... a wide variety of rituals, but all of them in one way or another aimed at personal transformation. This was true, in broad terms, of the Mystery religions of Graeco-Roman Europe as well as the “Eastern” religions of Persia and India. While there are great differences of detail, the basic concept was much the same. Writings, if they existed, were for the priesthood, not the people... and usually they were meant for guidance only, not as a central focus of belief. The notion that Christianity should be centred on the Bible, and not on its rituals, originated in 16th century Europe, as more and more people gained access to affordable copies of the Bible in a language they could understand. This was a brand new type of religion... one that belongs to a period in which books are common and everyone can read. That simply wasn’t the case when Christianity started out. The English Puritans of the 16th and 17th century were amongst the earliest Biblical Literalists. They were persecuted by the established churches (both the Roman Catholic Church and the Church of England), and to escape this persecution many of them emigrated to America, where they were among the first European settlers. In some sense, therefore, America is founded on Biblical Literalism. That’s probably why most people in the English-speaking world today (atheists just as much as Christians) see Biblical Literalism as the “purest” form of Christianity. That may be true... but the fact remains it’s only a quarter the age of Christianity as a whole! Does the same argument broadly apply to the Islamic faith? 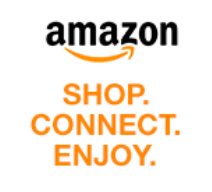 I think you're probably right! Islam was a "religion of the Book" from the very start, predating the Protestant Reformation of Christianity by several centuries. I was probably thinking too much from a European perspective. Thanks, Pete. Haven't heard much from you lately - I assume you're too busy commuting these days! New job Mr H? Is there really life after Q? My fault entirely for going off topic, but I suggest we continue this on FB!